Pandora Recovery is a powerful free tool to attempt recovery of permanently deleted files. 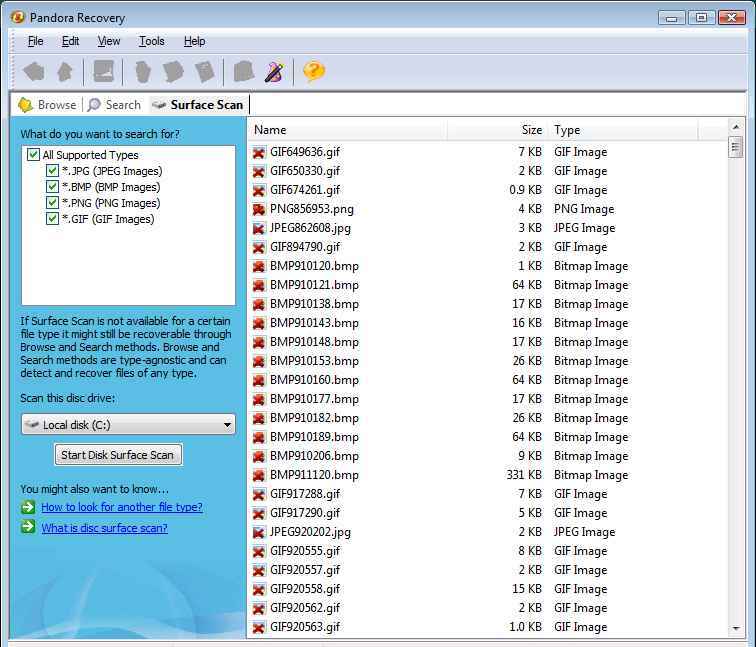 It is a powerful free tool that provides its users an effective way to attempt recovery of permanently deleted files. It does not mean restoration of a file from Recycle Bin. Pandora Recovery actually recovers files permanently removed from Recycle Bin, files originally deleted using Shift + Delete keys bypassing Recycle Bin & files deleted from DOS prompt. ...... It is not a backup tool - it can recover files that have been deleted months before Pandora Recovery was installed. Pandora Recovery allows you to find and recover recoverable deleted files from NTFS-formatted volumes, regardless of their type - you can recover pictures, songs, movies or documents. Pandora Recovery will scan your hard drive and build an index of existing and deleted files and directories (folders) on any logical drive of your computer with supported file format. Once the scanning is complete you have full control over which files to recover and what destination to recover them to. Qweas is providing links to Pandora Recovery 2.1.1 as a courtesy, and makes no representations regarding Pandora Recovery or any other applications or any information related thereto. Any questions, complaints or claims regarding this application Pandora Recovery 2.1.1 must be directed to the appropriate software vendor. You may click the publisher link of Pandora Recovery on the top of this page to get more details about the vendor.